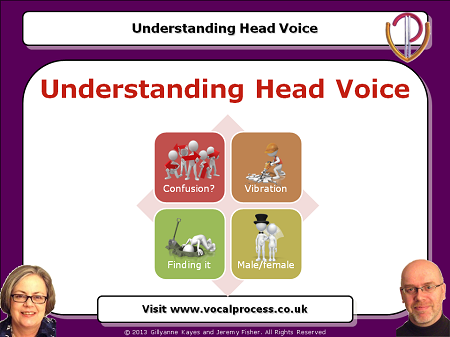 When you read the voice literature, talk to singers and teachers, and search the internet, you realise that everyone has an opinion on head voice. And you also realise that people don't always agree on what it is, how it sounds and even whether people have one! "Excellent - clarified the physiological aspect of the two basic techniques I use and teach. 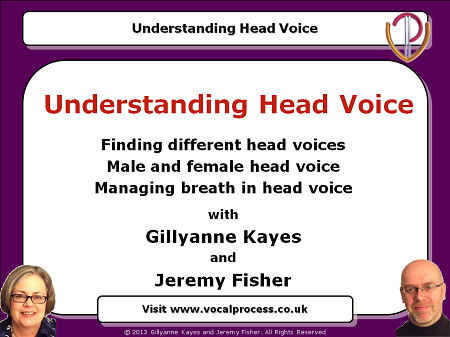 It has given me a standardised terminology that I'm going to use from now on"
"I really like your openess and the way you cover different ways of describing the same thing"
"Reinforced the truth and debunked the myths about head voice"
And we'll be sharing some thoughts on the female "middle register"
"First time I am attending a webinar about the voice and I think you did a great job." Why even eminent teachers think that women have an extra vocal register - we explain why the classical teaching world has developed that myth and exactly what women are required to do when they go in "middle register"
And we give you five different phrase shapes that require careful transition handling. We show you the shapes and then we demonstrate them so you can hear exactly what we're talking about, and how (and where) we transition - and it's not always on the same note! 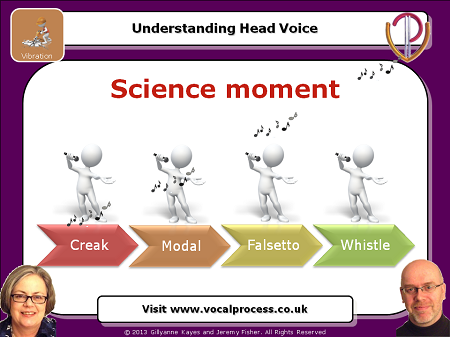 We even sing you the same pitched phrases with and without transitioning so you can understand the concept of moveable transition points. We had participants from 14 countries sign up to the live event (and you've seen the feedback they gave us at the beginning of this email). Add this Webinar to your cart now and find out what they're excited about!